We recently returned from a family vacation in Orlando, Florida. Like everyone else who goes on vacation, I spent lots of time online researching what to do, where to stay, where to eat, etc. Of course, the big attractions all do a pretty good job with inbound marketing. There is a lot of content available on their sites to help potential visitors do a large part of the planning and booking. However, what I found most valuable when planning the vacation and again while we were there was not content from the companies themselves. The most useful content was user-generated. In addition to being more useful, I found that I trusted the information more if it came from an actual visitor and not the companies themselves. For example, several of us on the trip get motion sickness from certain types of rides. When I searched for information about the rides that could cause motion sickness, the only information that was useful came from people who had visited the parks. It didn’t come from the companies that own the parks. As the week went on, I realized just how much I was relying on user-generated content which got me thinking about how the same concept should be a bigger part of B2B marketing strategies. Think about it. If a person is willing to trust a stranger’s recommendations online over the information from the company itself regarding how and where to spend their money on a family vacation, why wouldn’t the same hold true for a business-related purchase? Before we go any further, let’s define what user-generated content really is. According to Wikipedia, it is "any form of content such as blogs, wikis, discussion forums, posts, chats, tweets, podcasts, digital images, video, audio files, advertisements and other forms of media that was created by users of a product or service, often made available via social media websites". To boil that down, user-generated content is really any piece of content that was created by the user of a product or service and then is shared via social media, review sites or even the company’s site. It could be blog posts like those I was reading about specific things at the parks. It could also be a YouTube video of a product actually being used. In B2B marketing, customer testimonials are a common example. The question is how do B2B marketers inspire users of their products and services to create content. After all, not many B2B brands create as much excitement for their end users as a lot of B2C brands do. It turns out that it really isn’t as hard as you might think. Here are four ways to get started. Sure. B2B customers may not be as enthusiastic about your products or services as they are about a B2C product. That doesn’t mean they don’t love your product and how it has helped them. It also doesn’t mean they aren’t willing to share their story. If you have customers who have great success stories that involve you, ask them to tell it. Give them multiple options. For some, recording a video is perfect. For others, it might be an audio recording of an interview or something as simple as taking photos and sharing them. The key is to ask and then make the process as easy as possible for them to tell their story. If you read this blog often, you know that part of my past marketing life was spent in the engineering consulting industry. While it can be a pretty stuffy place, even engineers like to have fun. At one of the firms I worked for we conducted our own version of “Flattened Stanley” with our clients. We created a cartoon version of an engineer, printed him out and sent him to our clients. We then asked that they take pictures of him on their project sites and post them to a designated website we had created. Our clients loved it and posted more photos than the website could handle. Before you knew it, we had several hundred photos of different projects that we could organize and use in many different ways. The cost was minimal and the reward was huge. Let’s face it…everyone is extremely busy…including our customers. Finding time to do something extra is a struggle but offering a small incentive might help. For example, in exchange for a quote about why your customer chose your product or service, offer a discount on their next order. You could also try giving away small gift cards for a cup of coffee or even something as simple as a retweet or a featured article on your homepage. It doesn’t have to be an extravagant offer. Sometimes simple is best and also yields the best results. Everyone likes to win. Giving your customers an opportunity to do just that may be the thing that inspires them to create content about you. Instagram is growing quickly in the B2B space. One idea is to ask your customers to post photos on Instagram showing how they use your product or service. Give prizes for the most creative entries. Facebook is another great platform for a contest. Ask for video. Be clear about what you’re looking for and let them go to work. Before you know it, you’ll have lots of user-generated content to add to your resources and share with prospects. 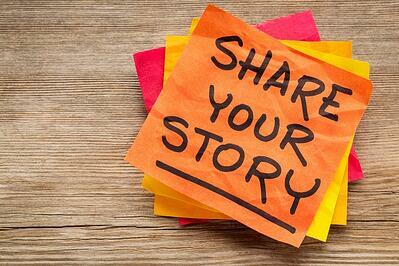 B2B marketers shouldn’t overlook user-generated content. It is an inexpensive way to build your content library and in many cases has more value to prospects than anything you could create on your own. Experiment with your customers and figure out the best ways to get them to contribute. It will be worth your efforts.